I have been asked the question more than once about providing mermaid spells! However, truthfully must admit, I did not have one either through my own collection. Neither any of my usual recommended spell providers either so I wanted to delve a bit further. What I do mean is that you sure don’t have to tell me that Wicca and witchcraft is truly amazing! 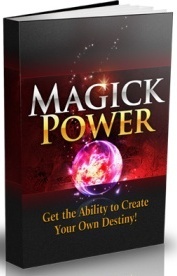 Changes white magick makes in your life when done correctly and when using magic spells that really work are staggering! However…I personally feel that most of us get the benefit out of magick when we use it to make changes to our vision. In the way we see things, the way we feel. And to find true happiness with love spells that work, the way we interact with others. The way we protect ourselves from harm or negative energy. The way we take on characteristics of something other like in spells to become a vampire. And of course, the way we protect others amongst many other reasons. The key message here is that we mostly use magick, especially spells for beginners and intermediate witches, to change our state. To modify our energy and reception of energy and change how the universe “looks out” for us. In every one of the mermaid spells I have been lucky enough to find, it talks about (and promises!) to physically transform the receiver actually into a mermaid! Now first of all, I wonder whether or not that someone would actually want to forever be a mermaid? Sure there might be some perks but having scales and having a tail instead of legs would not be high on many people’s lists! Secondly, all the spells I found pretty much promised a transformation – sometimes almost instantly! These spells also were very short and required mostly no ingredients, objects or special potions other than salt water! I feel that there’s not enough substance in these spells to pull it off, despite how powerful the witch! Look I am not about criticizing other witches spells. I just want us all to remain aware about the true power and use of white magick. In my eyes, mermaid spells that claim to transform the caster into a mermaid is just not going to happen. I wish you all the universe has to offer – Jayne – Good luck with your Mermaid spells!